At the Energy Experts, we are Mission Viejo's most experienced home HVAC (heating, ventilation, and air conditioning) contractor. Energy Experts is a new professional designation of Alicia Air Conditioning and Heating, a provider of comprehensive home HVAC sales, installation, maintenance, and repair services to Orange County and surrounding areas since 1980. 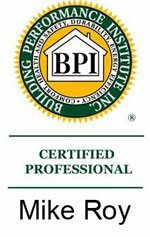 At the Energy Experts, this new professional designation is the result of being awarded the distinction of Carrier Certified Energy Expert, a professional certification which qualifies our experienced home HVAC technicians to conduct comprehensive Carrier 360° Whole Home Energy Audits for our valued residential clientele, during which we expertly identify home HVAC system efficiency problems. In addition, at the Energy Experts (Alicia Air Conditioning), our whole home approach to residential HVAC systems also involves a thorough indoor air quality evaluation of each Mission Viejo home in which we perform our 360° Whole Home Energy Audit. And following this comprehensive inspection, which includes the testing and evaluation of the home's existing HVAC system, ductwork, thermal envelope (made up of the home's roof, exterior walls, floor, windows, and doors), and indoor air quality, our knowledgeable technicians will recommend the most effective, affordable solutions to eliminate any HVAC system or indoor air quality problems you and your family may be experiencing. 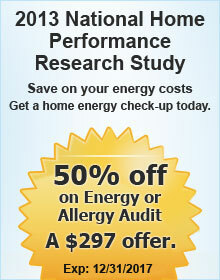 Call the Energy Experts at Alicia Air today from Mission Viejo. We service all of Orange County. The HVAC professionals at the Energy Experts are licensed, bonded, and insured. At Energy Experts (Alicia Air Conditioning), as a part of our comprehensive 360° Whole Home Energy Audit, we identify points within your Mission Viejo home's envelope (made up of your home's exterior walls, roof, floors, doors, and windows), as well as in your home's ductwork system, where air leakage is taking place due to issues such as areas of insufficient insulation, unsealed ductwork connections, or damaged ductwork. Uninsulated or under insulated ductwork is a major cause of Mission Viejo residential HVAC system inefficiency. When a home's ductwork system is placed in unconditioned home spaces such as attics, garages, and crawl spaces, and is not adequately insulated, heated air passing through the duct system during the winter months is not protected from the cold temperatures in these unconditioned spaces, and conversely, cooled air passing through the duct system during the summer months is not protected from the hot temperatures in these unconditioned spaces. For this reason, a lack of sufficient ductwork insulation can prove to be a considerable hindrance to home heating and cooling efforts. Trust the Energy Experts at Alicia Air to install your new Mission Viejo HVAC system. When you install a new heating, cooling, or ventilation system, you are virtually granting your utility companies permission to send you a bill each month for using the new system. For this reason, the wrong system, improperly installed, could prove very costly, resulting in excessive utility bills for the duration of the lifetime of the system, which could last for more than 20 years. Accordingly, choosing the right contractor to install the system is crucial. A good contractor will first perform a careful and thorough evaluation of your home, and will only then recommend an HVAC system for your home's heating and cooling needs. At the Energy Experts (Alicia Air Conditioning), the information about your home that we ascertain during the performance of our 360° Whole Home Energy Audit will enable us to determine the ideal home HVAC system for your needs. At the Energy Experts (Alicia Air Conditioning), we use the most innovative, comprehensive leak testing procedure available in the industry to pinpoint any home envelope and duct system leaks, and then recommend our affordable home insulation, duct sealing, or duct replacement services as needed, to ensure that your Mission Viejo home's HVAC system is able to function at peak efficiency, providing optimal comfort and indoor air quality for your family members and guests while minimizing utility bills. Call us today. Do your part to help the environment by installing a high efficiency HVAC system at your Mission Viejo home. How big is your home's carbon footprint? Saving money on utility bills is not the only benefit that is realized through choosing to install high efficiency heating and cooling equipment in your home: It also reduces your home's carbon footprint at the same time it reduces your home's energy consumption. This is due to the fact that high efficiency HVAC systems consume less natural gas and electricity than standard efficiency heating and cooling systems, and also because electricity is generated through the use of coal, gasoline, natural gas, or uranium oxide (in nuclear power plants), and its production contributes significantly to environmental issues such as air pollution. They are improperly engineered or adjusted - resulting in improperly distributed air which can lead to hot and cold spots within a home. They were constructed with design flaws which restrict system airflow - reducing the efficiency of heating or cooling produced by the HVAC unit. They are inadequately insulated - uninsulated ductwork in unconditioned home spaces such as attics, garages, and crawl spaces will cause heated air passing through the system to cool down in the winter months, and cooled air passing within the system to warm up during the summer months. They leak enormous amount of air - by far the most common problem in existing residential ductwork systems. At Energy Experts (Alicia Air Conditioning), we will address714 each of these potential issues during our thorough whole home inspection, and then suggest the most cost effective solutions for their resolution. Are allergies or asthma a medical concern in your Mission Viejo household? Do you worry that your home's air is contaminated by air pollutants such as dust, mold spores, pollen, volatile organic compounds (VOCs), insulation fibers, automobile exhaust, carbon monoxide, or excessive moisture from crawl spaces or improperly sized HVAC systems? At the Energy Experts (Alicia Air Conditioning), we are Carrier Certified Healthy Air Experts, and utilize our whole home approach to home HVAC system performance in order to resolve troublesome indoor air quality issues for our valued residential clients, often alleviating serious medical issues and safety concerns for their families. Depend upon the knowledgeable professionals, call the Energy Experts at Alicia Air today. We service all of Orange County and surrounding areas, and are licensed, bonded, and insured. When you are experiencing Mission Viejo home HVAC system and/or indoor air quality problems, the Energy Experts at Alicia Air are here to help.